Despite the rising popularity and well-documented health benefits of vegetarian diets, relatively little research has been done on the impact on athletic performance. In the first study of its kind, researchers at Arizona State University have shown that a vegetarian diet can support strength and cardiorespiratory fitness development, and that some vegetarian athletes may even have an advantage over their meat-eating counterparts. More and more people are moving towards a plant based diet. In Britain, 35% identify as a semi-vegetarian, and 45% of women admit to eating less meat than they used to. There has also been a 350% increase in the last decade of those who have gone all the way and adopted a vegan diet. 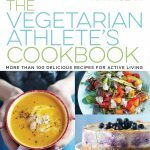 In this new study, researchers recruited 27 vegetarian and 43 omnivore elite endurance athletes. They tracked participants’ food intake, and measured their maximal oxygen uptake (VO2max) during treadmill runs as well as their strength on leg extension machines. Among the male athletes, there were no significant differences in cardiorespiratiory fitness or strength. In other words, the vegetarian men were just as fit as the meat-eating athletes. However, the most interesting finding from the study is that the vegetarian women had 13% greater VO2max scores than their omnivorous counterparts. Protein intakes were no different between vegetarians and meat-eaters ((1.2g/ kg body mass and 1.4g/ kg body mass respectively). However, vegetarians consumed more carbohydrate than the meat eaters. 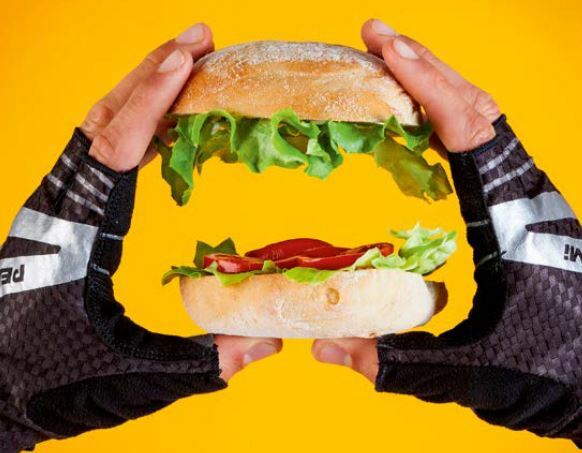 All this suggests that following a vegetarian diet won’t harm your performance. It’s a common misconception that you need meat to build muscle. But these findings suggest that if you get enough protein from vegetarian sources, such as dairy products, pulses and nuts, you don’t need meat to develop strength or fitness. In fact, for women, a vegetarian diet may even benefit performance. Exactly why this is the case isn’t clear but perhaps by having a higher carb intake vegetarians have better glycogen storage, which could improve training and increase VO2max. There are many examples of successful vegetarian athletes including Lizzie Armistead, Martina Navratilova, Serena and Venus Williams and Mike Tyson. A review by Australian researchers found that well-planned and varied vegetarian diets neither hinder nor improve athletic performance. In 2004, Canadian researchers showed that vegetarian diets can provide more than enough protein to support athletic training and performance.